Philo just commented in the previous post, to have found images and one video from a MOC where the new Linear Actuators (LAs) are in use and action. Thanks Philo! For its relevance and actuality, decided to make it the video of the week at TBs . These are photos from the same guy, who posted LA images earlier this week at Brickshelf. 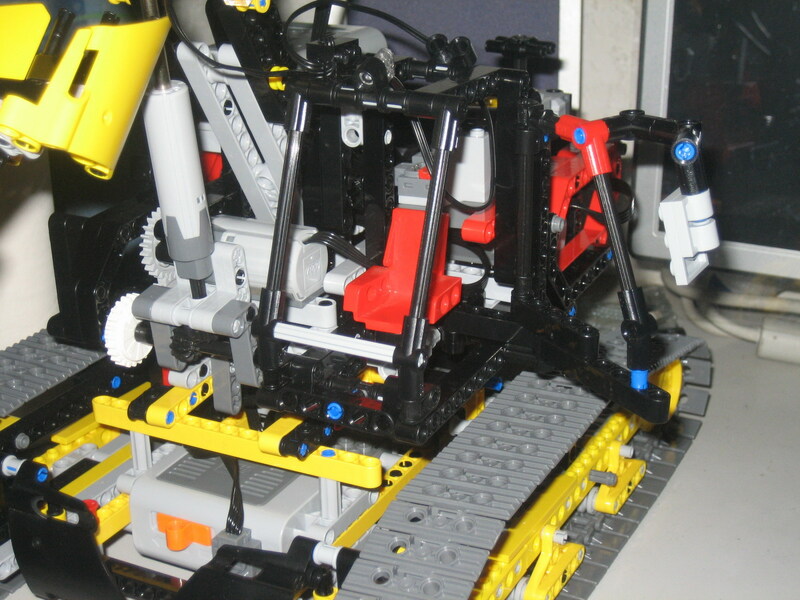 Find his new excavator MOC images in this Brickshelf folder. Unfortunately the quality and focus on the LAs is not so good, that we can for instance figure precisely how many revolutions are needed to make the LA run between the full range of its extreme positions. The new Power Functions lights also shows up on this MOC video. In the majority of linear actuator designs, the basic principle of operation is that of an inclined plane. The threads of a lead screw act as a continuous ramp that allows a small rotational force to be used over a long distance to accomplish movement of a large load over a short distance.